A New Orleans psychic and a good day in the stock market lead computer whiz Julia Mooney to the little town of Sutter Creek, where, in a fog of compulsion, she buys an old house she doesn’t need, for reasons she doesn’t understand. 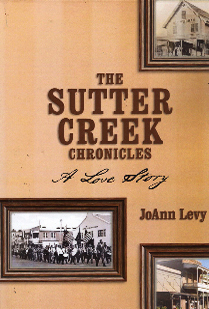 The quaint community, with its Duck Races and rodeo, its haunting Memorial Day services, its Italian parade and eccentric expatriates from metropolitan life, gradually draws Julia ever more tightly into life in Sutter Creek-past and present. Is it chance-or destiny-that leads to the discovery of what lies mysteriously hidden within the old house? Is coincidence and intuition but a juxtaposition of things not seen, nor understood, but inevitable—like love that, despite time and circumstance, will not be denied? “This is a work of fiction, a flight of imagination. Its events and characters exist only on these pages, and any resemblance to persons living or passed on to the world to come, is simply coincidental. Well, mostly coincidental. For the story’s genesis I am indebted to Mara French, who knocked on my door fifteen years ago, and told me how the predictions of a New Orleans psychic brought her to Sutter Creek. I was so entranced by the story I thought it must have significance for someone and thus I told and retold it to friend after friend, all of whom found it fascinating but none of whom found it personally meaningful. I was convinced the story must be meant for someone, and eventually concluded I was that someone. I asked myself, Why would a psychic predict a woman would buy a house, with a specific description, in a specific location? Why? Write a love story using Columbia history and I’ll sell the “Dickens” out of it!! Floyd, your post has inspired me to write….my first blog installment! Stay tuned! Or, more wisely, check back. As for Columbia’s history, you must be the expert there, and love stories likely abound. Your turn to write a book, don’t you think? I’ll be your cheerleader. 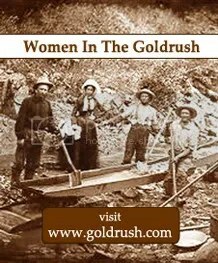 Thank you for becoming the women’s voice of the Gold Rush! I am a fourth grade teacher, and one of my favorite topics to teach is the California Gold Rush. Young girls need to hear about how women play an important role in our state’s history. You have inspired me to dig deeper into others’ stories – and teach history by telling a story. Thank you! Heather, I am delighted to hear from a teacher. 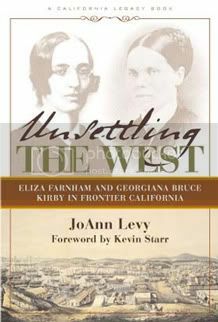 You are the voice of the women of the gold rush now by telling your students about their remarkable lives. I was privileged to collect those voices so you could continue their stories, and keep them alive. We are a team! My thanks to you for wanting to be part of it. 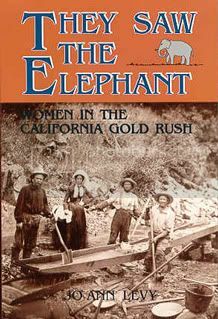 I began my California Gold Rush unit for this year, and once again, brought out your books to help my students conduct research. It is a privilege to share the stories of pioneer women with my students. Both boys and girls alike are fascinated with the research you have done. I love how, even as nine and ten year old children, my students are drawn in to others’ stories and how they might learn from them. Your work continues to inspire me. I spent time last spring at Bancroft library reading letters and journals. I read that your research is located in the California State Library. I would love to read through that someday! Do you ever have speaking engagements? While I am living in Southern California, I visit to Northern California a couple times a year. Thank you again, for inspiring others to continue telling the stories of the brave men and women who came before us!